NIMCET 2019 Eligibility Criteria are the minimum qualification required to be fulfilled by the candidates. 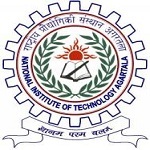 NIT MCA Common Entrance Test (NIMCET) will be managed by the NITs on a rotation basis. Interested candidates can appear for this exam to get admission into MCA programme in 11 participating NITs. There are a total of 805 seats available across 11 participating NITs. Candidates before applying for NIMCET 2019 must go through eligibility criteria specified by the authority. In the given below article we have updated detailed description regarding NIMCET Eligibility Criteria 2019. Below, we are providing NIMCET eligibility criteria which include qualification, marks criteria and nationality criteria. Before filling NIMCET 2019 Application Form, candidates must fulfill the given eligibility criteria. Nationality: Candidate should be Indian origin. Qualifying Exam: Candidate must possess B.Sc. /B.Sc. (Hons) /BCA/ BIT degree from a recognized university with Mathematics/Statistics as one of the subjects. OR Candidates having B.E/ B.Tech degree from a recognized university are also eligible to apply for NIMCET 2019. Appearing Candidates: Appearing candidates can apply for this exam. Such candidates have to submit the qualifying exam degree at the time of counselling. All candidates have to submit these documents not after second week of September 2019. Open Candidates: Candidates, those pass B.Sc /B.Sc (Hons)/BCA/ BIT course from open universities are also eligible to apply. These programmes are approved by UGC / AICTE and Distance Education Council (DEC) of Govt. of India. Candidates will have to secure at least 60% marks in aggregate or 6.5 CGPA on 10 point scales in the qualifying exam. For SC/ST candidate’s, the minimum marks should be 55% or 6.0 CGPA on 10 point scales. Conversion of score marks from CGPA to percentage and vice-versa will not permitted. The percentage of marks/ CGPA in the qualifying exam will be calculated based on marks or grade points secured in all the subjects studied in all the years including languages, optional and additional subjects studied, if any. Candidates will get NIMCET 2019 Application Form from 1st March 2019. Candidates will be able to apply for NIMCET exam in online mode. Candidates are required to fill the application with details such as personal details, academic details, contact details, scanned image of photographs and signatures. The application fee for General and OBC candidates will be Rs. 2000/- and for SC/ST/PWD candidates Rs. 1100/-. Candidates should check the eligibility criteria carefully before applying for the exam. The application will be rejected if the requirements are not met. Candidates, belong to OBC category, they have to satisfy both caste and creamy layer. They have to submit OBC certificate while applying online. However the original certificate will be produced at the time of admission. If you have any other queries regarding NIMCET 2019 Eligibility Criteria you can ask your queries in the comment below.